After several days of excavation, between August 14 and 15, 2013, archaeologists discovered gaming stones in the burial site at Başur Höyük. This site, left behind from the Bronze Age, is located in the Southeastern province of Turkey known as Siirt. 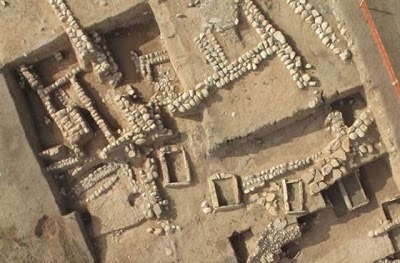 Lorenzi explains in Discovery News that archaeologists have been excavating nine different graves. In one of them they discovered 49 sculpted stones of various kinds. The groups of stones found have different shapes from each other, and they are painted in different colors such as green, red, blue, black, and white. According to archaeologist Haluk Sağlamtimur, from Ege University, in Izmir, Turkey, some of the stones "Depict pigs, dogs and pyramids, others feature round and bullet shapes. We also found dice as well as three circular tokens made of white shell and topped with a black round stone." Sağlamtimur also explained that pieces similar to these stones were found in locations in nearby Syria and Iraq. One piece in particular was the oldest board game, the royal game of Ur. Based on an article in the Smithsonian magazine, What is even more interesting is that the royal game of Ur was found in the area known as the Fertile Crescent, at what used to be called Mesopotamia. In another article written by Viegas of Discovery News, it was found that these board games have been around since 3500 BCE. Even though the royal game of Ur is said to be 4,800 years old, another board game that was found was the Egyptian game of senet, which is said to be 11,000 years old! It's no surprise that such advanced, elaborately made game pieces would be found in the area where the first agricultural societies were formed. Even during that time, so long ago, playing games was a symbol of status in society; only the elite would be able to play games, according to an article in Discovery News: "Many of the first board games appear to have been diplomatic gifts to signify status," co-author Mark Hall told Discovery News. “We have early examples of quite splendid playing pieces belonging to elite, privileged people." Archaeologist Sağlamtimur explained at his conference that the pieces found at the Başur Höyük grave were found in clusters. The pieces first found in Syria and Iraq, on the other hand, were found separately, so archaeologists had not thought them to be part of a game at first. Now, because the new pieces found are the same and have been found in clusters, they can now be verified as belonging to the same game, states Lorenzi. Alongside this, the pieces have been classified to come in groups of four and eight, which could mean that "According to distribution, shape and numbers of the stone pieces, it appears that the game is based on the number 4," according to Sağlamtimur. Furthermore, the Archaeology News Network describes that around 2550–2400 BC, during the First Dynasty of Ur, the boards used to play the games were actually for the "game of twenty squares," which could be similar to backgammon. 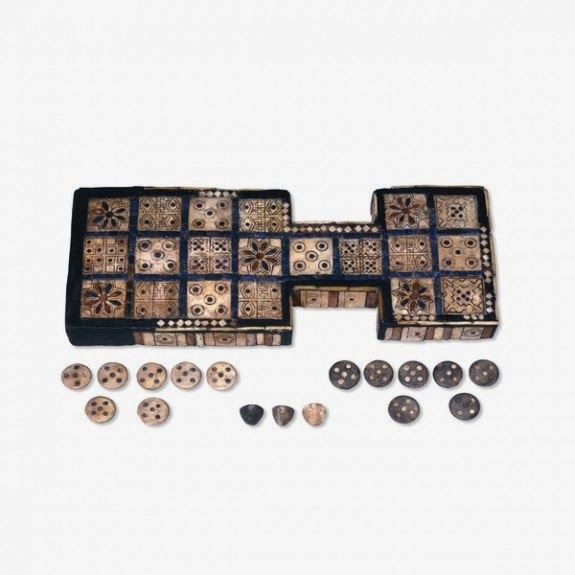 The pieces were associated with the game because they were found in the tombs lined up in a straight row according to shape and color: "The set consisted of seven shell roundels inlaid with of five lapis lazuli dots and seven roundels of black shale inlaid with five dots of white shell." 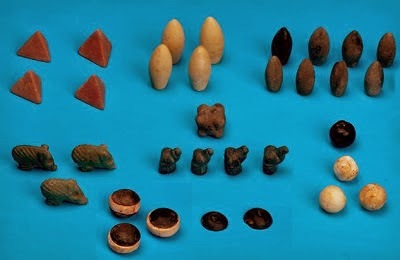 More detail of the game pieces, the board game, and the area in which they were discovered are written in the Archaeology News Network. This is a great place to catch up on the ancient history of Mesopotamia and see some interesting games!